It’s not just all Walt Disney world, pina coladas, and crowded beaches in Florida. In any quest to visit all 59 (well now maybe 60) United States National Parks you will find yourself being treated to an epic road trip through Florida. Florida is host to 3 National Parks and while each has a focus of water to them they also each have a unique history, landscape, and experience that will leave you thankful that you went road trippin’ to the National Parks of Florida! In case anyone is interested our name will not change based on the number of parks. 59 is how many there were when we created the name and it’s in homage to the parks as a whole not the actual current number. Back to Florida! Don’t worry…you WILL see gators in the Everglades! First a bit of background on the three parks. They are the Everglades, Biscayne Bay, and Dry Tortugas. 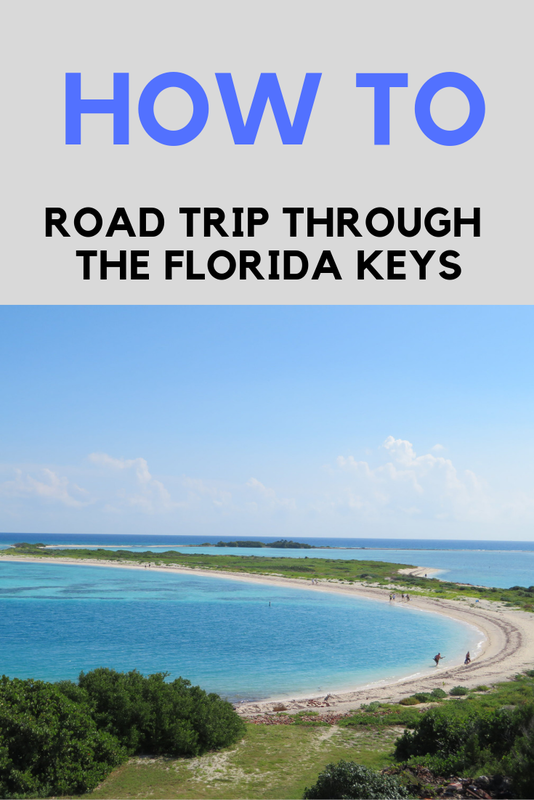 They are all located in Southern Florida and lower; the Everglades and Biscayne Bay are in very close proximity to each other while the final one (Dry Tortugas) is one of the more difficult parks to reach in the country. That’s because it requires a 2 hour plus boat ride or float plane journey 70 miles West of the island of Key West. Key West isn’t exactly an easy destination to reach but throw in this additional piece and Dry Tortugas will make ya work for it. However it’s not that difficult to discourage a visit and you can very easily visit all three of these National Parks on a one week trip once located in Miami or Fort Lauderdale and not feel rushed. Below are some of the highlights from each on my recent road trip to all three Florida National Parks! 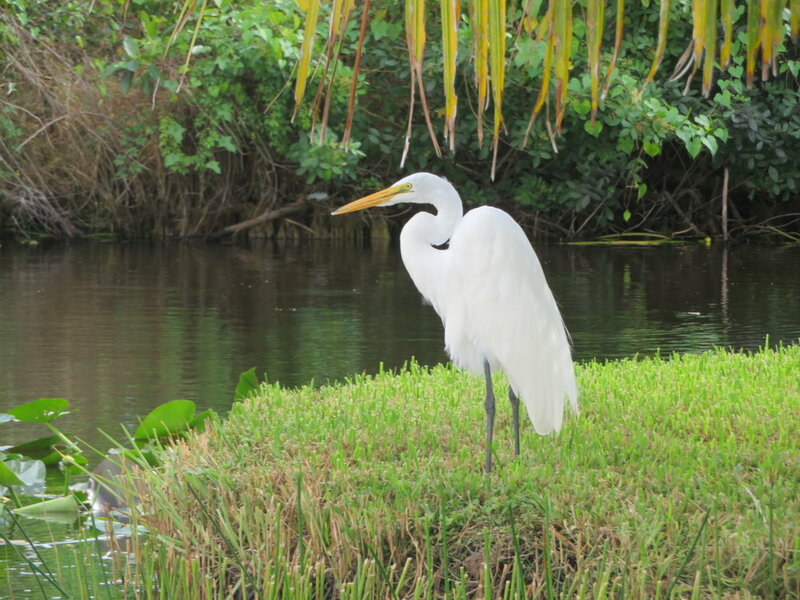 The birds of the Everglades will not disappoint. Why? It’s not actually a swamp but rather the largest subtropical wilderness in the US. The park is magnificent and less than an hour drive from Miami or Fort Lauderdale. Where? Shark Valley Visitors Center area was where we headed to rent bikes and ride through the park via bicycle. We saw birds, gators, and so much more. We did not see any panthers or manatees unfortunately! When? This park is best visited like all three of the Florida Parks; November thru March timeframe or really early in the morning or into the evening. It was 90 degrees when we were biking there on Veterans Day! What? What else should you do? 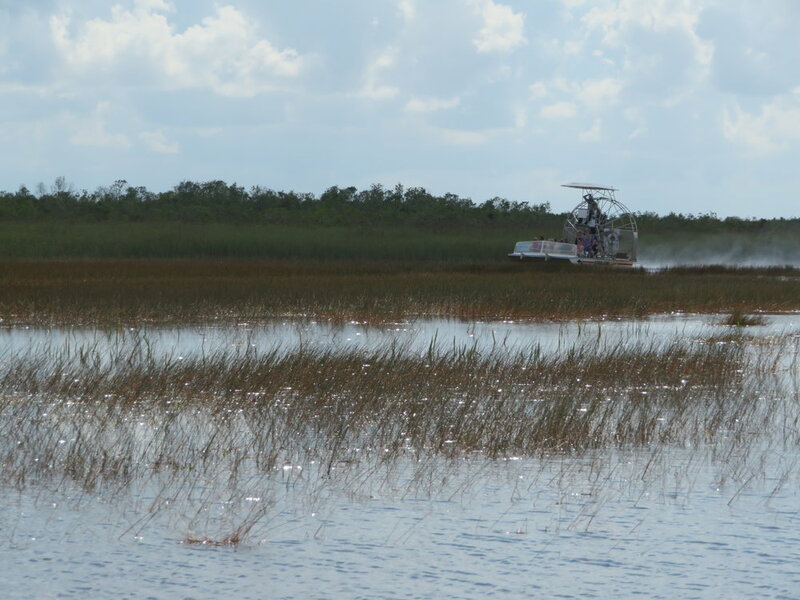 We did an Airboat Ride with Everglades Safari Park. They are one of three approved park partners and vendors and it was pretty cool! There are several other park entrances and you could do a longer term kayaking trip. The eco friendly Airboat rides. Why? This park is actually comprised of all water. We get to used to National Parks that are only mountains and landscapes it’s fun to do something different when visiting a park! Where? The Dante Fascell Visitors Center in Homestead FL is just 45 minutes from South Beach yet eons away from the hustle and bustle of the big city. It’s also the jump off point for all excursions and activities that you can take part in. When? With some of the snorkeling and boat riding opportunities this one can be visited year around pretty easily; what you do might just depend on the season. An all day kayak might be better off in December instead of August or during hurricane season. What? We did a canoe rental with myself and my friend and his 3 year old son. 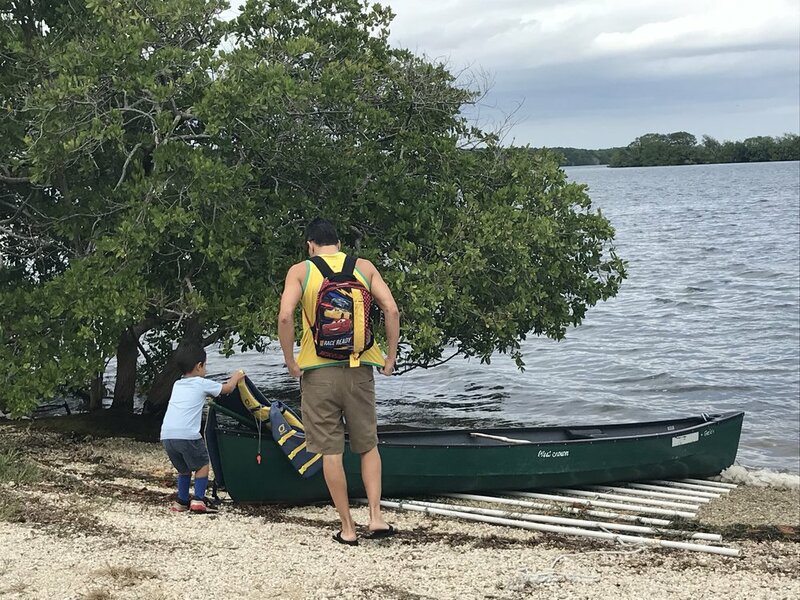 It was his son’s first time in a canoe and we took out him out into the open bay and he loved it. We saw blue crabs, hermit crabs, birds, mangrove trees, and more on our paddle. With more time I would recommend doing a snorkeling or diving trip (there are shipwrecks that you can scuba into) or a trip to Boca Chita Key and lighthouse. Find out more about your trip options HERE for your visit! Martin was an eager young lad for his first canoe trip! 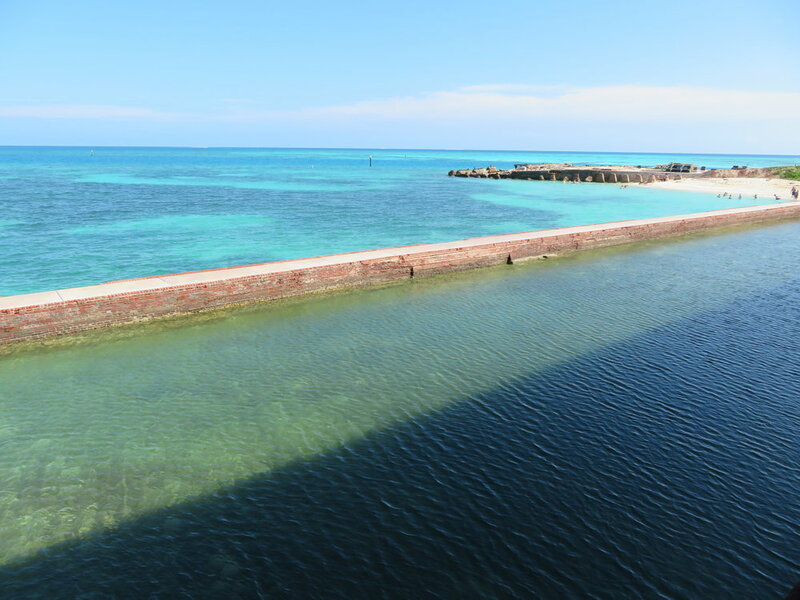 Panoramic view from the top of Fort Jefferson at Dry Tortugas National Park. Why? This was my favorite park of the three! Actually if I were asked to rank my Top 10 US National Parks this would be in there. It’s an island 70 Miles West of Key West that served as a Civil War fort, imprisoned a conspirator of the Lincoln assassination, and has crystal clear snorkeling around it. Where? Out of Key West. Go with an experienced sailor or private float plane. That’s how a small fraction of people visit, most take the Yankee Freedom like we did! The ticket price is worth it and it includes a guided tour of the fort, snorkeling gear, breakfast, and lunch. If you can snag a campsite to stay overnight like our contributor Holly B did I’d recommend it! When? Any day the Yankee Freedom is headed out! Tickets sell out in advance during the busy tourist season so I’d recommend booking way ahead of time if you are dead set on visiting this park. If you are in the Key West area and just want to be flexible you can always check to see if there are openings or last minute discounts. 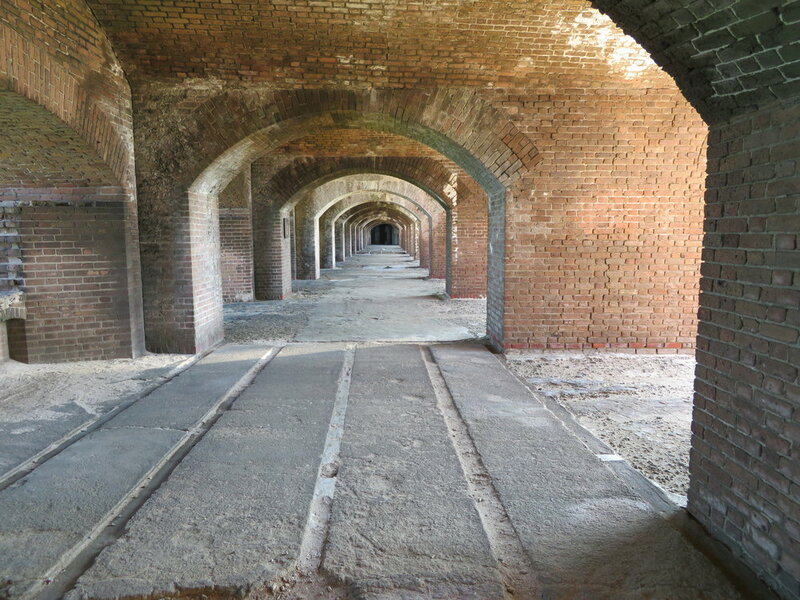 Walking around the fort and the beach will of course be more comfortable in the spring, fall, and winter seasons. What? We listened to a chat about the fort by one of the Yankee Freedom tour guides, did the self guided tour, walked around the fort until the part where the moat was damaged during Hurricane Irma, and then spent time snorkeling around the fort and lounging on the beach. Only thing I would do next time is add in an overnight camp site if available! Hard to beat views atop Fort Jefferson looking out into the Gulf of Mexico. My main reason for choosing a quest to visit all of the US National Parks is to give myself the ability to see the country, sometimes in spots I wouldn’t visit. Visiting the parks is a chance to explore America and see all of its beauty and goodness. To me these lands are worth protecting, and worth fighting to continue to preserve from the current President and many in his political party who want to privatize and profit from, and it’s an education into the history of both this country and the world as a whole. The parks teach me. They educate me. They break down barriers and they connect me with other adventurers and wanderlusts from all over the world. I had the special chance to go visit these parks with my wife, my business partner and his son, and my parents. It was truly a one of a kind experience. Then again it always is when I visit one of the parks. And that’s why they are so important to the US and to the world. Head South to the bottom of the Lower 48 and three beautiful National Parks await you on a road trip that won’t include Mickey Mouse, golf, or over priced margaritas but will give you a different kind of experience in Florida. You won’t regret your road trip to Florida’s National Parks! Have you been to any of the Florida National Parks?? Comment below with any questions or your favorite experience. Thanks for being a part of the Hashtag 59 squad and make sure you sign up for our emails to get all of our content, contests, and events!